1 How to wash fresh green patches of grass from clothes? 2 How to remove old green grass stains from things? 3 How to remove grass stains from the surface of denim? Summer is a favorite of many people of the year, which is characterized not only by comfortable life and rest, but also with lots of greenery. This is both a plus and a minus, because not many people know how to wash the grass from clothes and just throw it in the trash. This approach is fundamentally wrong, because there are so many proven ways to wash green grass from your favorite things without spoiling them. This guide will help you understand how to wipe green grass from the surface of the fabric, without leaving a trace. How to wash fresh green patches of grass from clothes? Soak. As soon as possible after getting the grass stains on the clothes, the item should be soaked in cold water, before rubbing it well with soap, so that the item is covered with foam. Before removing the stains from the grass one of the ways, clothing should be infused in cold water, after which it should be rinsed in warm water. The stain will lose much in color and brightness, will be easy to remove. Laundry soap. If the above method does not help you, and you do not know how to remove the stain from the grass with fresh, shake a little soap in a container with warm water and add a few drops of ammonia. Dip clothes in the prepared solution and soak for 30-6 minutes, wash. These are the most effective ways to clean the grass, if the spots are very fresh. Unfortunately, water with soap and ammonia is not always on hand, so fresh stains turn into old ones. Therefore, special attention should be paid to the question of how to clean the traces of grass is not the first freshness. How to remove old green grass stains from things? Laundry soap. A small bar of soap without different fragrances is the best way to wash the grass on clothes, as well as cope with other contaminants. It is enough to set a small amount of soap in a container with warm water and soak contaminated clothing in it. For greater efficiency, you can add a couple drops of ammonia. This method is equally effective against fresh and old grass stains. If you do not know how to clean the grass stains from jeans, use a quality soap! Salt. Even the oldest grass stain can be completely eliminated with a handful of ordinary table salt, which can be found in every modern home. It is enough to dissolve a tablespoon of salt in a glass of boiled water, then soak a piece of cloth with a stain of grass in saline solution, hold it in this condition for 10-15 minutes, and then send the item for washing. Hydrogen peroxide. How to remove the grass stain quickly and without problems? Try to use such a common tool as hydrogen peroxide - this substance can be found in any pharmacy. It is necessary to mix a small amount of peroxide into water, and also add a little liquid ammonia to the solution. This solution is used as a stain impregnator - apply a small amount of the product directly onto the stain and let it brew for 15-30 minutes. After the end of the processing thing must be washed. Denatured alcohol. How to remove grass stains if peroxide is not at hand? You can take for this purpose denatured alcohol. How to clean a grass stain with it? It is very simple - it is necessary to moisten a sponge for washing dishes in alcohol, then wipe it with the hard side of the dirt from the grass. After such an effective treatment, the item should be rinsed under warm soapy water, then washed. Baking soda. How to remove grass stains from clothing with improvised means? Use baking soda, which probably will be in the kitchen! Dissolve a tablespoon in such an amount of water, to end up with a thick gruel. Immediately after cooking, paste this paste onto the grass stain, then leave to soak for 10 minutes. Next, the paste must be removed, rub the stain, throw the thing in the wash.
Vinegar. 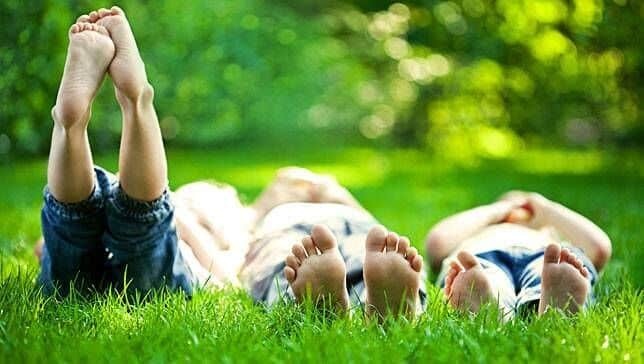 You do not know how to clean the stains from the grass without any traces? Wine vinegar is an excellent tool for this purpose. For greater efficiency, wine vinegar should be mixed in equal parts with oxalic acid. The resulting solution is applied to the dirt from the grass - it should be absorbed over 30 minutes. When the allotted time is over, the rest of the solution must be washed off, and the clothes sent to the wash. Lemon acid. How can we remove grass stains from clothes if wine vinegar and other not common acids were not found on the farm? Apply citric acid to this task. It should be poured onto the stain and allowed to soak for 30 minutes. If there is no acid, it can be replaced with regular lemon juice. Glycerol. How to wash the grass with colored clothes? Mix chicken protein and a small amount of glycerin in one container, carefully dilute to the state of a homogeneous solution, and then apply an even layer on the grass stain. The solution should be infused for an hour, after which it should be washed off, the thing to wash. The above are the most effective ways to remove the grass stain without any extra effort. There are also other tips on how to wash the pumpkin and the juice of other plants - you can use them too. If the methods you chose from the first time do not have a visible effect, and you do not know how to wash the grass from clothes in any other way, do not despair - just repeat the procedure, then the result will surely appear. How to remove grass stains from the surface of denim? Petrol. Get a special clean gasoline, then wipe them with a spot of grass. The remains of gasoline can be removed with glycerin. In no case do not take gasoline from the gas station - it will leave yellow marks. Pharmacy alcohol. 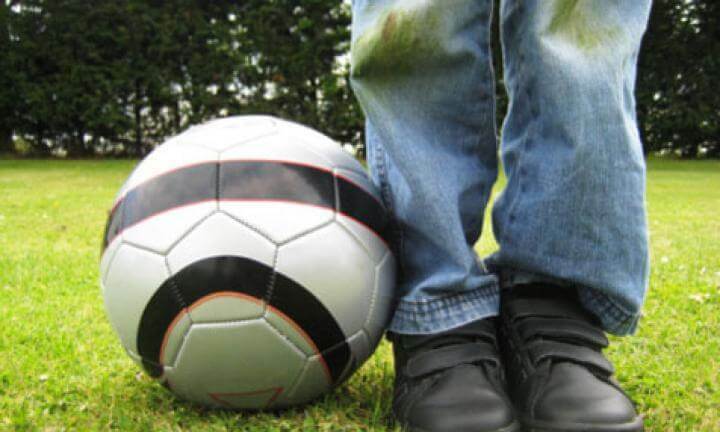 How to remove grass stains if there is no gasoline? Take a small amount of ammonia, apply it directly to the dirt and let it soak for 30 minutes. After that, jeans must be washed. Peroxide. It is enough to fill the stain abundantly with hydrogen peroxide for one minute to make the spots lose their strength. Now you know perfectly how to wash the grass from clothes - use the knowledge gained. Remember that avoiding grass sap on things is much easier than washing things. But if the trouble happened, it will be nothing for you - you know how to wash the grass on clothes! Wrapped your clothes with wax candles? Correct the situation!